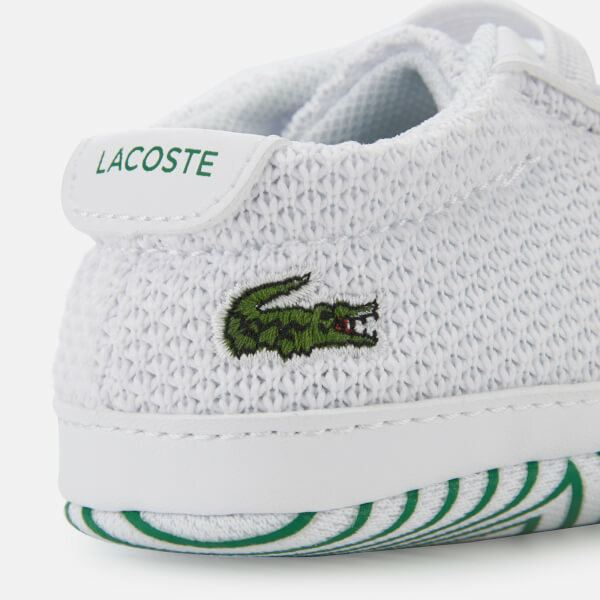 Lacoste white mesh crib trainers with the brand’s iconic crocodile logo embroidered on the heel. 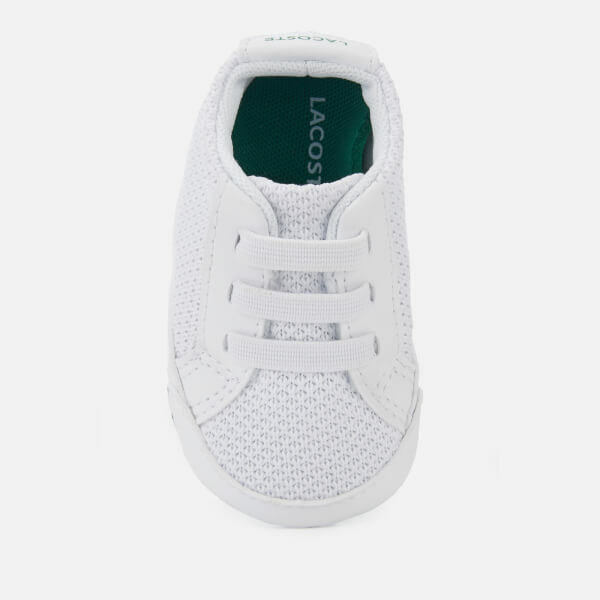 The babies’ white trainers have elasticated laces to easily slip them on and off tiny feet and an Ortholite® foam insole for cushioned comfort and increased breathability. 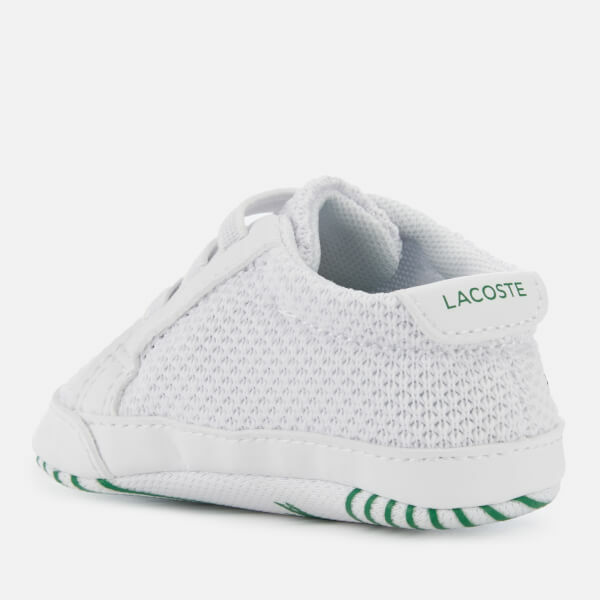 Lacoste branding on the heel completes the baby shoes. 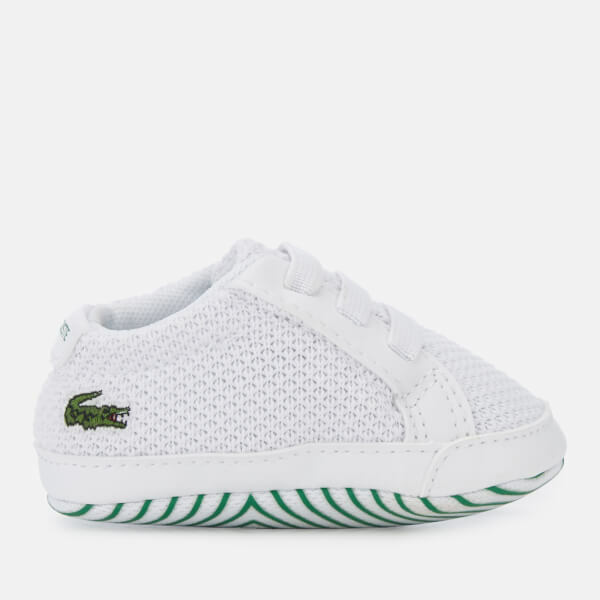 Presented in a ‘My First Lacoste’ gift box.